PEOPLE like to think experiments using the scientific method proceed according to airtight logic—that all underlying assumptions have been tested and proven true. But sometimes, as science advances, it threatens to disprove its own tenets, and call into question whole categories of experiments. A recent paper coauthored by associate professor of pediatrics H. Shaw Warren does just that. In a study that involved collaboration among more than a dozen institutions, Warren, an expert in sepsis (see below), asked whether the bodies of mice react to burns, blunt trauma, and infection the same way that human bodies do. Examining the genetic signatures of response to such assaults, the scientists found very little similarity between the two species. The finding is stunning because mice have long been considered a model organism for researching drugs for use in people. The study authors estimate that 150 potential treatments for severe inflammation have been tested in people after being found to work in mice—and in the human trials, not a single one worked. In fact, the researchers found only a very weak correlation between mouse and human genes activated in the body’s response to a burn injury. For response to blunt trauma, the correlation was weaker still; for response to bacterial toxin that mimics infection, nearly nonexistent. In some cases, the researchers found that the same genes were activated in humans and mice, but in opposite directions—meaning that a drug that worked well in a mouse might actually harm a human patient. This helps to explain why it’s been so difficult to find drugs that effectively treat inflammation. These findings apply only to the inflammatory response, but they do raise the question: What other human diseases are being studied under the erroneous assumption that mice are a valid model? Almost universally, researchers are expected to prove a drug works in mice before testing it in humans. Now, another step—studying mouse-human differences with regard to the specific disease—may be necessary. Even before both mouse and human genomes had been fully mapped to enable such comparisons, says Warren, “everybody already knew” there were major differences in the way humans and mice responded to infection. For example, small numbers of certain bacteria in the bloodstream can make humans very ill. If the body mounts a severe inflammatory response—“a genomic storm affecting all major cellular functions and pathways,” the authors write—blood pressure drops and organ failure sets in. Sepsis, as this reaction is called, is the most common cause of death in intensive-care units in the United States, killing about 200,000 Americans each year. If even a casual observer could see that mice don’t respond to infection the same way humans do, why did so many experiments assume otherwise? 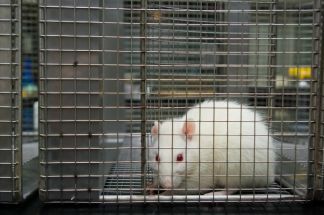 Warren says that once the mouse became “a cornerstone of modern biomedical research”—readily and relatively cheaply available, easily custom-bred, with well-developed methods of study that are acceptable to the bodies that approve and fund experiments—the system perpetuated itself.